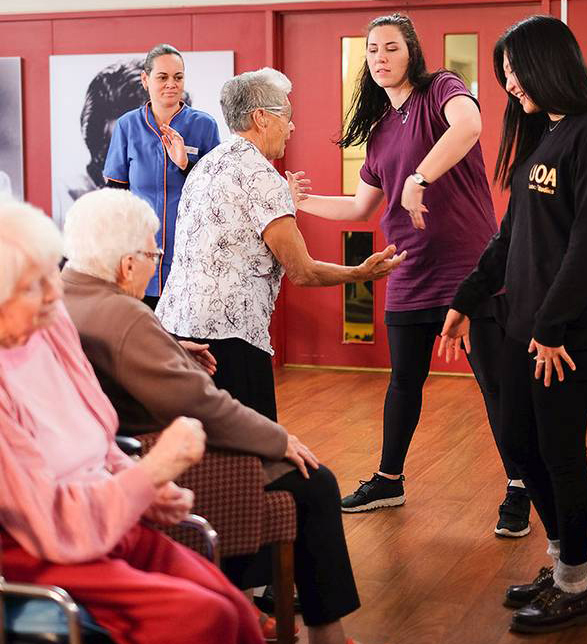 Community dance is vibrant and varied in New Zealand. 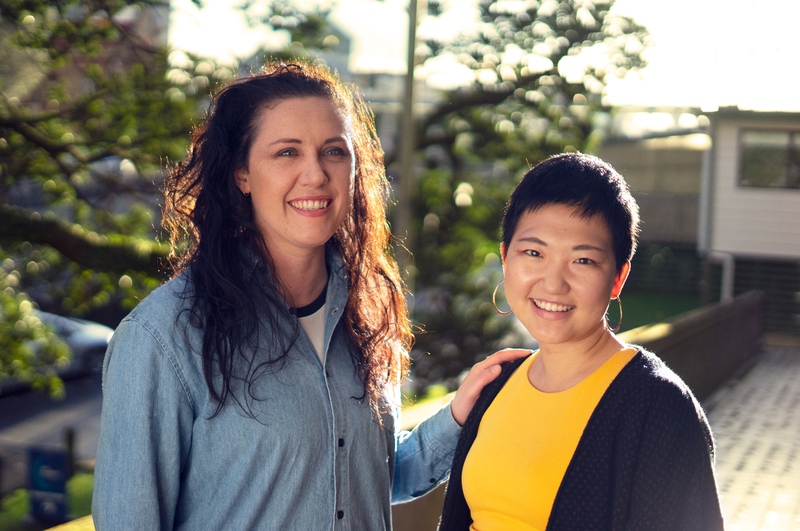 Carlene Newall de Jesus and Cindy Jang speak to Hamish McIntosh about accessibility in community dance and how the next generation of practitioners are finding space to grow. Community dance is a multi-dimensional practice within Aotearoa New Zealand. In its diversity, community dance lends itself to interrogation: what is community dance? who is community dance for? and how are specific attitudes or philosophies of community dance refined and communicated across generations? For those pondering the latter, community dance practitioners and facilitators Carlene Newall de Jesus and Cindy Jang have plenty of hands-on experience. Newall de Jesus, a PhD candidate and lecturer at the University of Auckland, has worked in community dance for 10 years. Jang, an up-and-coming choreographer and dance researcher, has developed her own community dance practice with local church youth groups and in her teaching. Together, Jang acts as Newall de Jesus’ research assistant — their praxis bound both in vision and friendship. “On paper she is my research assistant for my doctoral work but this sits inside a wider relationship that floats between friends, mentor/mentee and champion of each other’s work,” Newall de Jesus explained. Elaborating, Newall de Jesus said that her and Jang’s conversations and friendship “forms and shapes the relationship […] and allows us to see each other in our wider selves, as dance makers, dance teachers, dance advocates, young women, critics, dreamers and just as humans”. Their relationship is a unique and important one in Aotearoa’s community dance field. In a kind of ‘generation game’, the different situations and contexts of community dance that Newall de Jesus and Jang have encountered highlight how the metaphorical torch is passed in response to existing community needs and values. Immediately clear in Newall de Jesus and Jang’s practices is their advocacy for accessibility. Newall de Jesus, who cut her community dance teeth through her work with The Child and Family Unit at Starship Hospital, has a dual background in performing arts and health psychology; her views crucial within the community dance scene. Jang’s involvement in community dance began at university. Despite a background in studio dance, Jang found a sense of belonging in community dance. Explaining how community dance contrasted with her competitive training, Jang said that community dance allowed for expression. “If it is about being human and the human interactions then it should be more than a right or a wrong, more than getting your leg as high as you can. It should be more about diversity, inclusivity, relationships, expression and empowerment,” she explained. Given that both Newall de Jesus and Jang have their own, separate community dance practices, it is intriguing to hear how their combined work has shaped one another. Reflecting on this valuing of the individual’s access, Newall de Jesus further revealed how this attitude has influenced her and Jang’s relationship: "I am not there to be a gatekeeper to dance knowledge but to facilitate the dance to happen and to draw out the individual ideas, contributions, stories, personalities and movements from participants." MY VALUES WITHIN TEACHING [AND] LEADING COMMUNITY DANCE ARE FOCUSED ON THE IDEA THAT ALL PEOPLE DESERVE TO HAVE ACCESS TO APPROPRIATE DANCE ACTIVITIES AND THAT GIVEN THE RIGHT CONTEXTS, SUPPORT AND TEACHING, ALL PEOPLE HAVE SOMETHING TO CONTRIBUTE IN DANCE PROJECTS. In terms of how Newall de Jesus’s influence arises in Jang’s personal philosophy, the process appears to be osmotic. In her involvement with Newall de Jesus’ work, Jang revealed that she is always “deciphering” what is happening before adopting the practices in her own work. In this case, access extends beyond just the participants; the facilitators, too, have the freedom to integrate and evolve as individuals. Looking forward, Newall de Jesus and Jang’s community dance relationship might serve as a model for young people seeking mentorship in community dance. As Newall de Jesus explained, “we need to continue to question and update our own beliefs and practices,” with this task, of itself, calling for dynamic relationships.